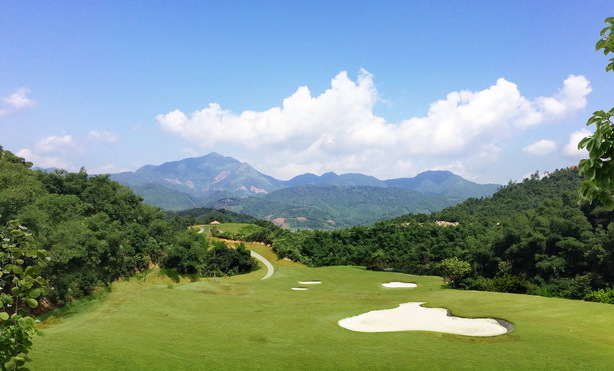 Hilltop Valley Golf Club is a 36-hole IMG designed golf course offering a unique challenge amidst the breathtaking scenery of a mountain range with views of hills, valley, and the Da River. 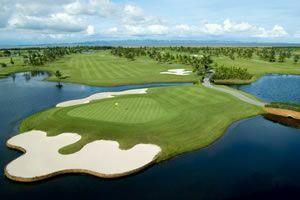 The golf course is located about 60 kilometers west of from Hanoi and is accessible by paved road in less than 2 hours. 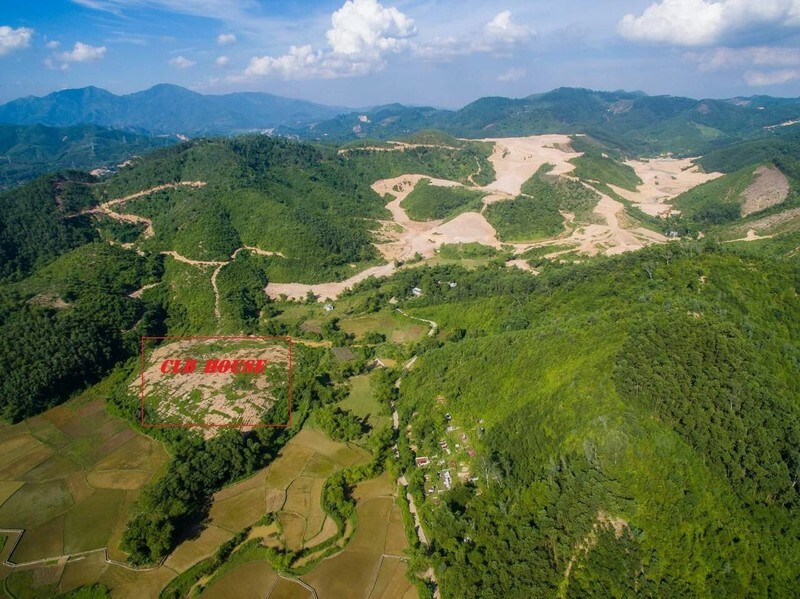 The Hilltop Valley project is in Hoa Binh province part of the multinational Geleximco conglomerate. Construction started in 2012, and initial phases are coming online in 2018. 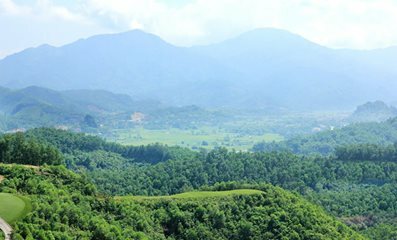 The site differs from most other Vietnam golf courses as has severe elevation changes from one point to another. 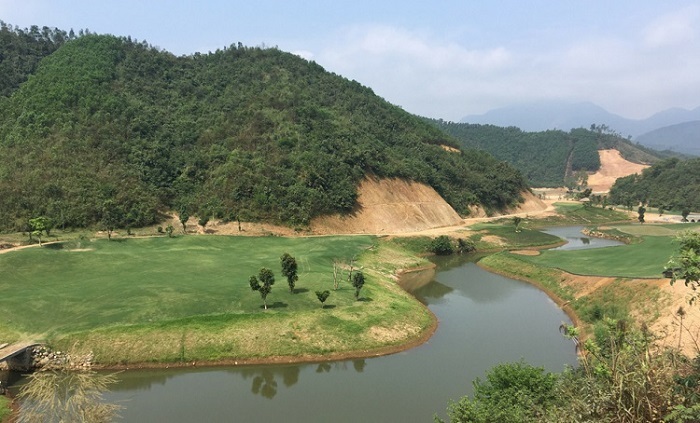 With its varied terrain, plenty of green space and beautiful views, it makes for a unique golf course and many memorable holes. 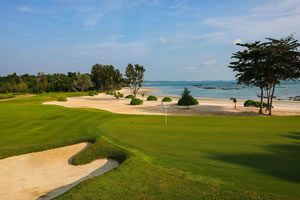 The Sunday Ultra-Dwarf Bermuda Grass grassed greens and Plateau Couch grassed fairways lush green color contrasts the white sand bunkers and red rocky outcrops. 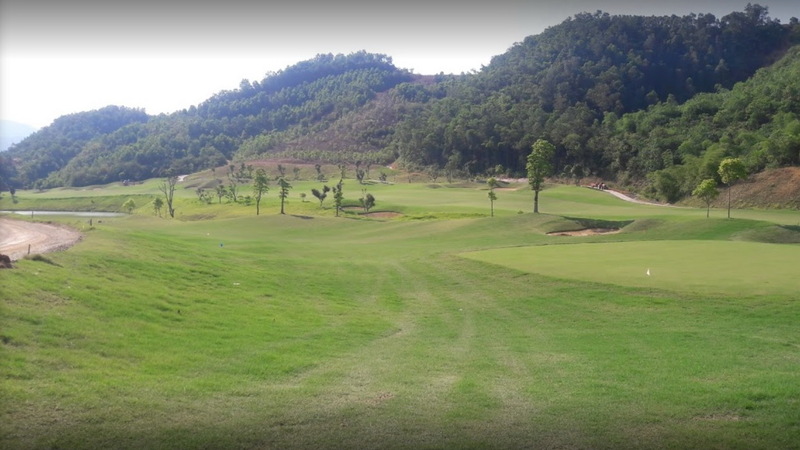 As the course matures, it will develop a good reputation among Vietnam golf courses as a pleasant and well-maintained resort layout. 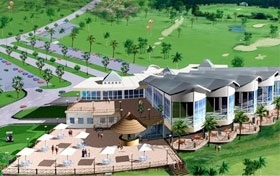 In addition to the golf courses, there will be a new city with many different sports, entertainment and commercial centers, hotels, villas, and resorts. 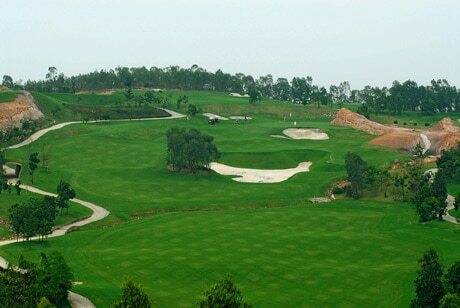 Geleximco’s objective to create an integrated golf community and an urban area outside Hanoi. Have you played golf at the Hilltop Valley Golf Club and took some nice photos that you would like to share with other golfers? Send them to us and we may upload them here. Thank you in advance!